The spring shopping season is in full swing. It's time to stock up on gifts for moms, dads, grads and teachers. SAN DIEGO (NEWS 8) - The spring shopping season is in full swing. It's time to stock up on gifts for moms, dads, grads and teachers. If you want to gift something meaningful that is both unique and handmade, you need to look no further than the mall! Sound crazy? 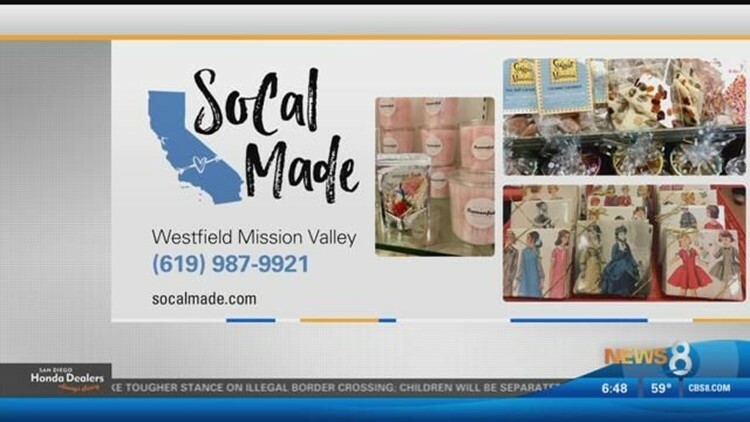 Westfield Mission Valley is now home to SoCal Made, a boutique that features local vendors and hosts classes so people can learn to make their own gifts. CBS News 8's Ashley Jacobs takes you shopping.